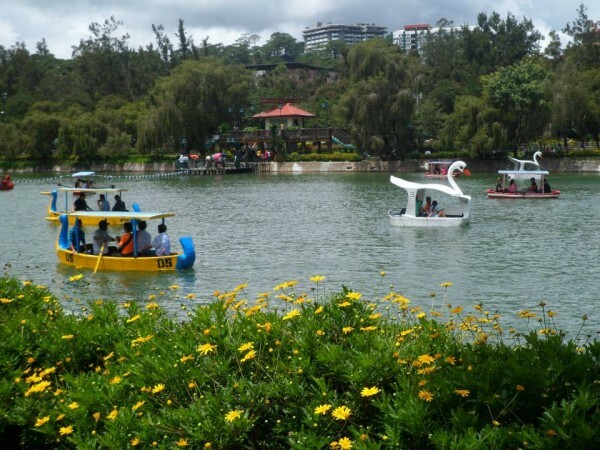 One of my favorite places to visit here in Baguio City is the Burnham Park. I used to go there every weekend morning to do my cardio exercise. You can do the Jogging and circling around the man-made lake with other people who also run and walk. There are also some group of people that used to have their Zumba, Tae-Bo, Tai-Chi and more in one side of the park. Like the Baguio Cathedral, Burnham Park is also in the heart of the city. It has a 32.84 hectares land area, and it is called the “mother of all parks” in the city. And because the park is located in the town proper, it’s near the business center Session Road, Baguio City Hall, Baguio Cathedral and the Baguio City Market. The park was designed and named after the American urban planner and architect, Daniel Hudson Burnham. It was said that the park retained its original design, although there are few features added. I usually rest in front of the lagoon where there are benches to sit. I have spoken to one of the park keepers, and he said that the Burnham Park was originally designed and serves as a Green Park to provide an effective tranquil environment in the city. However, when the park was handled by the Filipino Administration, it is become more of amusement parks because of the bicycle, skating, boating, and sports and gaming areas. The park is very accessible from one road to another. You can take Harrison, Governor Pack, Kisad Road and Magsaysay Road to get there. It’s only 3 to 5 minute walk from Session Road and 8 minutes walk from Baguio City Market. The park is open for all and a cool breeze of the city is perfect to bring you family and friends anytime of the year for a picnic.